Jockey Matthew McGillivray has ridden Shesees Everything to her her first Saturday class win. A defeat in a Magic Millions race earlier this year is credited with being the making of mare Shesees Everything who has won her first Saturday metropolitan race at Doomben. In January, Shesees Everything started $81 in the Magic Millions Maiden and was beaten a nose after striking trouble in the run. 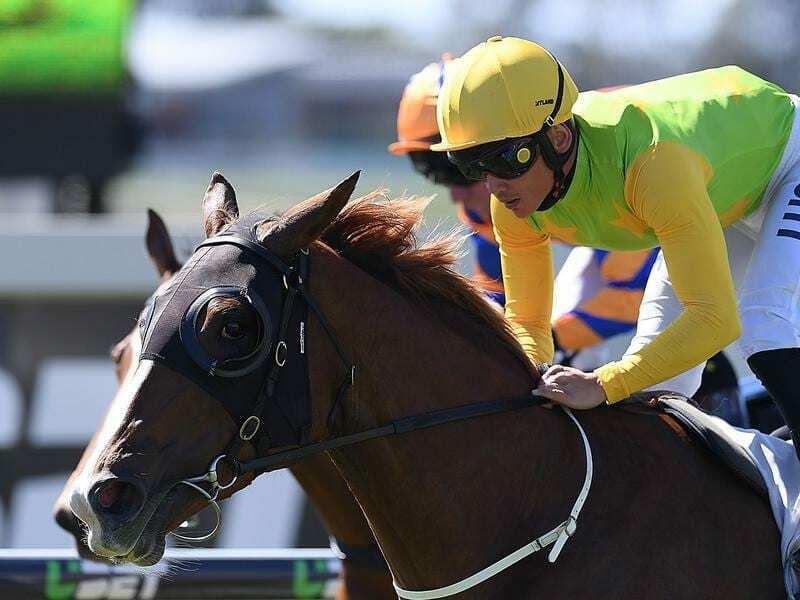 On Saturday, Shesees Everything ($3.20 eq fav) charged home to beat stablemate My Girl Hayley ($5.50) by three-quarters of a length with three lengths to Hirtshals ($9.50) in the Eloise Gannon Foundation Handicap (1200m). Trainer Tony Gollan said Shesees Everything had turned the corner and lived up to her training track potential since the Millions run. “There is no doubt she should have won the Millions race. Since then she has won three of her five starts in good fashion,” Gollan said. Shesees Everything ran 1.8.57 for the 1200m which was a class record and also confirmed the track rating of a good 3. Wining jockey Matt McGillivray said Shesees Everything had appreciated the fast early pace. “It was just a matter of getting clear on straightening and she was always going to be too strong,” McGillivray said.